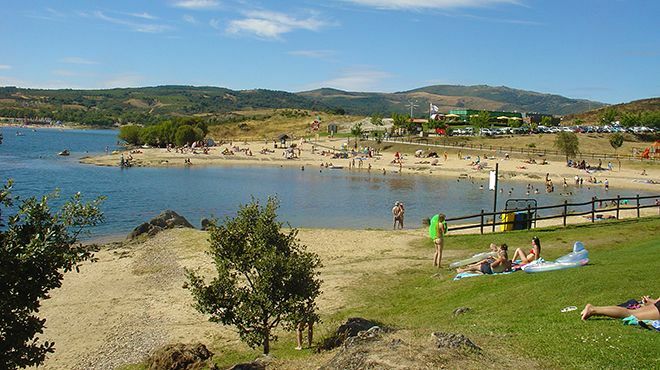 The National Rehabilitation Institute decided to award the prize to “+ Accessible Beach” 2015 to Vilamoura Beach, in the municipality of Loulé and the Fraga da Pegada River Beach in Macedo de Cavaleiros Municipality. This award distinguishes the beaches that make up the list of the “Accessible Beach, Beach for All” and that stood out in the implementation and improvement of best practices in access of disabled people to these bathing areas. The winner, the Vilamoura beach “is the most accessible among accessible , mainly because it is very complete and convenient to the user’s point of view of the services it provides and enjoy the proximity to a tourist offer of excellence in the surrounding area. Disabled Parking intercom with the reception of beach access wood boardwalks near the main entrance to the beach, connecting ramp to the beach, changing rooms (with toilet and shower for disabled), medical center, bar / restaurant and beach reception with access level, access ramps bordering on an easily accessible walkway to the very huts / culms (free for the disabled person and a companion), trouser type Mobi-Mat that extends almost to the water, as well as the service assisted bathing, which is performed with the help of two full-time lifeguards and a beachtrotter are some of the accessibility of services that have “this beach area.